A lot has happened in 5 years time. In the infographic underneath, we have outlined the major milestones we reached. When looking back on those 5 years, it was fun to read back our tweets about Laravel Excel. Our first milestone. 5 000 downloads! Listed as trending PHP package on Github! Just like after reaching 1 million downloads, we had a nice dinner with the entire team. We believe that building open source software made us grow as developers, but also as people. And that’s reason enough to celebrate this new milestone! Laravel Excel wouldn’t have reached all these milestones without the Laravel community! 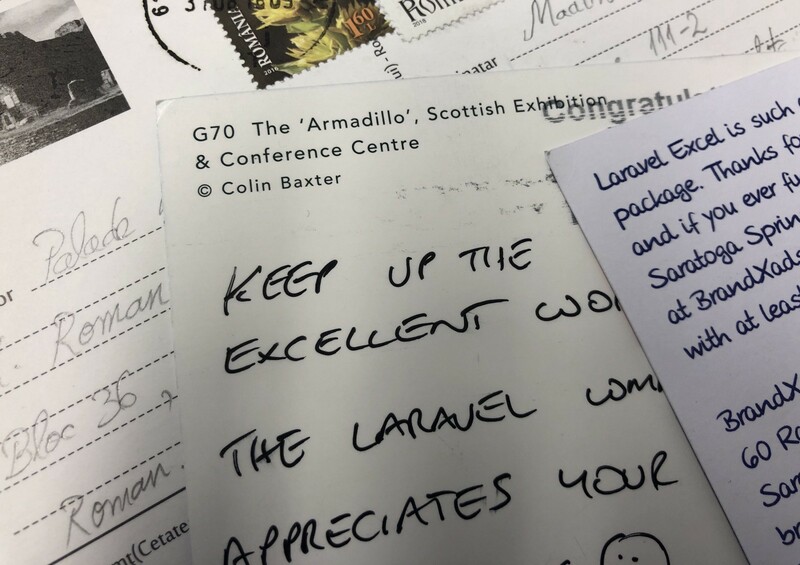 A big thanks for using Laravel Excel for all these years. Maatwebsite ❤ you! Many thanks for all the super fun postcards we’ve received! We would love to receive yours as well. Now we’d love to hear from you! When did you start using it? What you’re using it for? I work at Maatwebsite on weekdays and I am a passionate filmmaker in my free time. Find me on Twitter & Github.